Event Description: In the contemporary comedy Game Night four friends get together for an evening of relaxation and fun, as they usually do each week, to play Scrabble, Monopoly, Clue, and other favorites. This night might be like any other game night, but for the fact that in this foursome of friends, comprised of Brian, Miranda, Austin, and Jesse, one of the group is about to drop the big question to another. But taking the huge step into marriage is never simple, especially when messages become confused, intentions are misread, and emotions are high. Game Night, which was developed in PSU’s Playlab, is a fun, insightful, and witty comedy by PSU graduate Katherine Pereira. 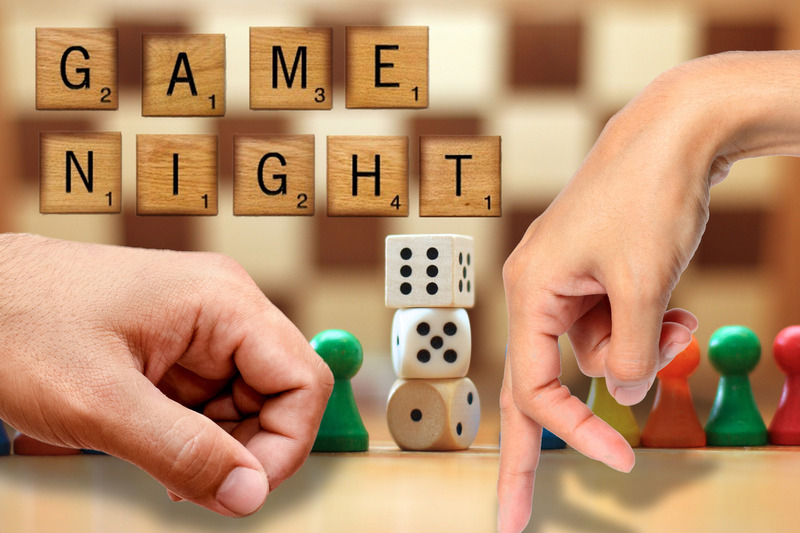 If you’ve ever been in love, played board games, or had a friend, then Game Night is your ticket for a great night of entertainment.